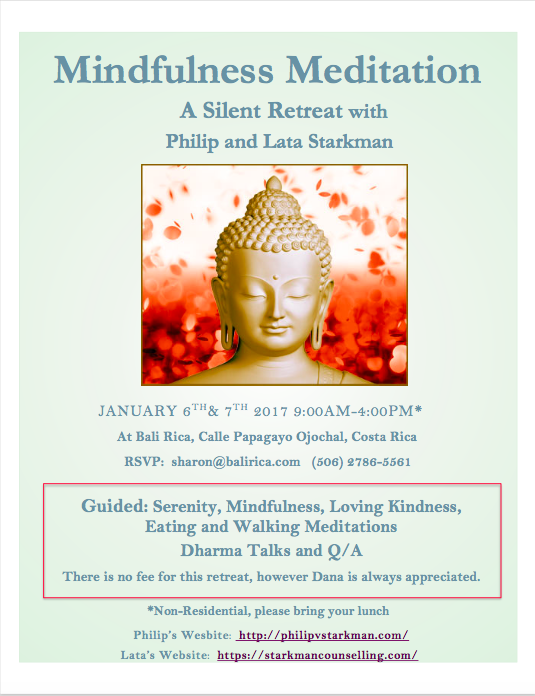 Philip and Lata Starkman are also conducting mindfulness meditations and talks every Friday starting November 18th – December 30th at Bali Rica, Ojochal Costa Rica. All are welcome, from beginning meditators to those with established practices. 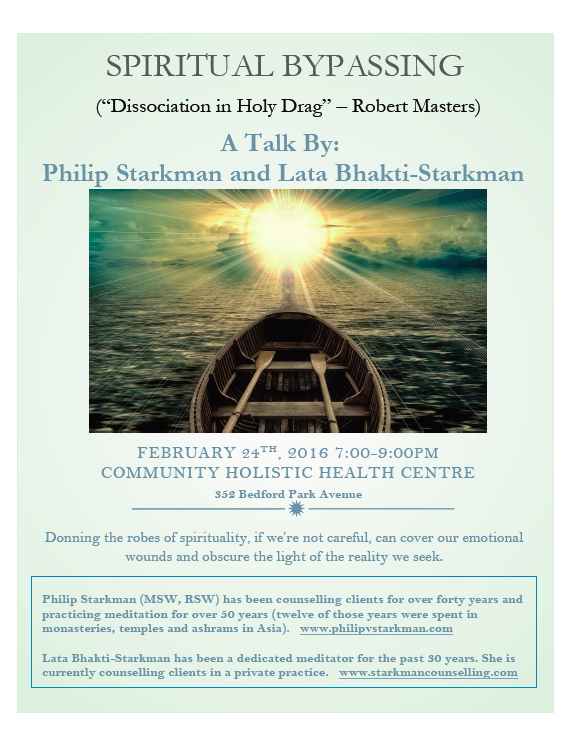 Philip and Lata B. Starkman will be giving a public talk on Love at Snow Lion The Meditation Shop.